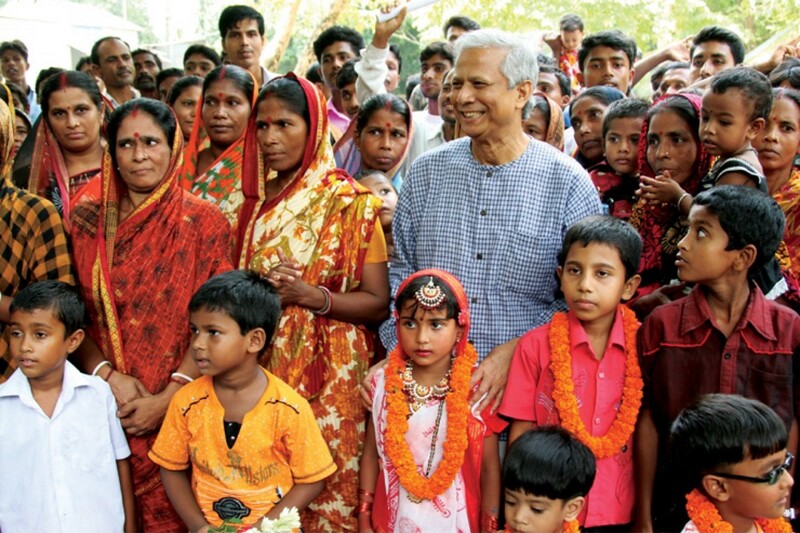 I recently had a chance run-in with Dr. Muhammad Yunus, Nobel Peace Prize Laureate for his work with Grameen, a pioneer in Microfinance. People often tell me, when I say what I do with Sama, that they’re concerned about poor people moving up the economic ladder because of future increased consumption, and an even warmer planet. I looked at him, clad simply in his Bengali uniform (made by Grameen artisans), and grinned. Dr. Yunus has a way of neutralizing terrible arguments with humor and grace, making everyone around him recognize absurdity while staying positive. The following day I posed the same question to Diane Regas, ED of the Environmental Defense Fund. She’s working on critical climate issues (did you know that environmental causes receive 3% of all funding?) and thinks through the link between poverty and carbon emissions. Regas had a similar perspective. This is such a powerful lesson for those of us in the social justice sector. Human needs and the planet’s needs are not at odds with each other — unless we frame it that way. Any real solution to rising global temperatures must also involve fighting poverty. And vice versa. For more like this, sign up here.